You are here: Home / Preschool or Daycare – Which is the Best Choice for Your Child? With so many different childcare options available, many parents struggle with the decision of which preschool or daycare option is best for their child. Research has shown that a child’s capacity for developmental mind and body learning expands at an amazing rate, beginning at a very early age. So, the early years offer a unique opportunity to reach children when there is great potential for building essential learning skills. Parents often feel overwhelmed when trying to determine which type of childcare, preschool or daycare, gives their child the best opportunity to flourish during this important time. Choosing the right childcare for your family is a very personal decision. What works well for some families, may not work best for others. Also, each preschool and daycare center is unique. However, understanding some of the typical differences between preschool and daycare programs may help provide valuable insight. Preschool is an early childhood program which combines learning and play activities, commonly geared for children between the ages of three and five before moving into kindergarten. Some preschools, however, such as Carpe Diem Private Preschool, include programs for infants and younger children as well. A successful preschool program often emphasizes cognitive, physical and social development, laying the foundation for a solid start in kindergarten. How are preschools different from daycare centers? Preschools are often different from traditional daycare centers in that more emphasis may be placed on learning and development. The focus of daycare centers may be on providing a more convenient option for parents who need a safe, affordable place for their child to stay for an extended period while working or pursuing other activities. Unlike many preschools, daycare centers usually offer full-time care, even during school breaks, which can be a necessity for working parents. Some preschools do provide more options for working parents. Carpe Diem Private Preschool is proud to offer after school care, extended day care, as well as holiday and summer camps during school breaks. The qualifications of the teachers found in preschools vs daycare centers may vary as well. 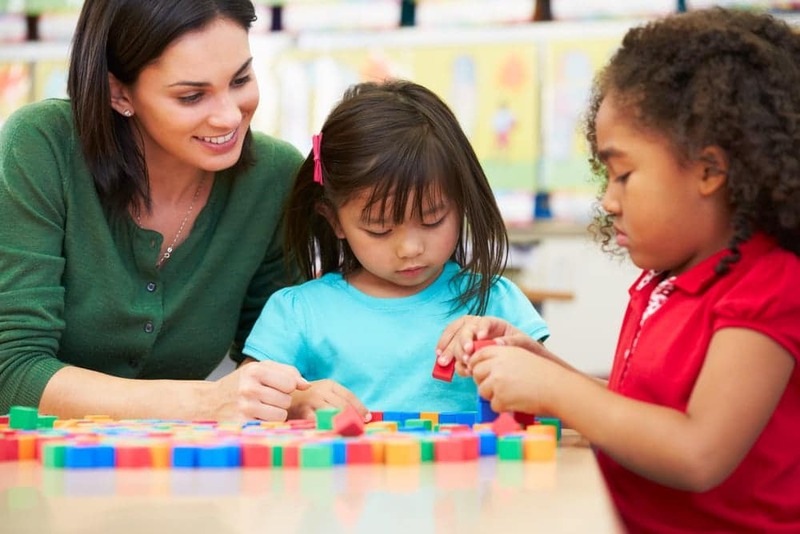 Preschool teachers may be more likely to have additional training in early childhood education. At Carpe Diem Private Preschool, every class is led by at least one teacher with a degree, and supported by additional teachers or assistants experienced in infant, toddler, and preschool learning. However, this is not always the case with preschools or daycare facilities, so it is important to ask questions and do your research. How are preschool programs and daycare centers similar? Despite some of the differences mentioned, you may tour both preschools and daycare facilities and find that a quality daycare and a quality preschool program might not be that different. Both daycare centers and preschools have licensing and accreditation requirements, and in general, both can be evaluated using much of the same criteria. When researching your options, be sure to ask both preschool programs and daycare centers about their class sizes and child-to-teacher ratios which may have a bigger impact than the type of program you choose. Smaller class sizes tend to allow for more personalized attention that enhances growth and development. At Carpe Diem Private Preschool, we ensure personalized attention and individualized instruction with continuing education for all teachers and extremely low child-to-teacher ratios. Are there educational differences between preschools and daycare centers? It is generally a perception that preschool programs will offer a stronger academic foundation with curriculum which introduces a broader range of subjects and enrichment opportunities. This may also be a misconception and can vary greatly from school to school. Even among preschools, you will come across schools with differing philosophies and approaches such as Montessori or Waldorf. Therefore, touring each preschool or daycare center that you are interested in is key to determine which program best meets your child’s needs. Parents should determine their expectations and ask questions about the curriculum to compare the academics among the various preschool and daycare facilities being considered. Carpe Diem Private Preschool sets a new standard for learning, not only exceeding state-mandated guidelines, but also following the stringent requirements set forth by the National Association for the Education of Young Children (NAEYC). At Carpe Diem, preschool curriculum extends far beyond learning letters, numbers, or shapes. Our preschoolers learn ‘how’ to learn through unique curriculum that emerges from the child’s interest and through experiential learning. As you compare various childcare options, you will likely realize that whether a program is a preschool or daycare center is likely not as important as the differences in curriculum, staff, and facilities. Classrooms, activity areas, and outdoor environments are easier to see. However, the way teachers work with children and the experiences they offer are less obvious and differ widely. These differences have a profound effect on your child and should be researched as well. Experts typically agree that the best programs for children, whether found in a preschool or daycare, are carefully designed to encourage cognitive, social, and physical development. If a preschool or daycare center is hesitant to answer your questions, that is likely a red flag. At Carpe Diem Private Preschool, we are proud of our extraordinary curriculum, educated and skillful teachers and staff, and our secure, state-of-the-art facility. We welcome the opportunity to show parents what makes our program so unique. Though childcare decisions may seem overwhelming, if your childcare provider genuinely cares about your child and his or her development – and offers a safe, nurturing environment with plenty of age-appropriate activities – both preschool and daycare facilities can be suitable options where your child will thrive.